Memo Shoes. 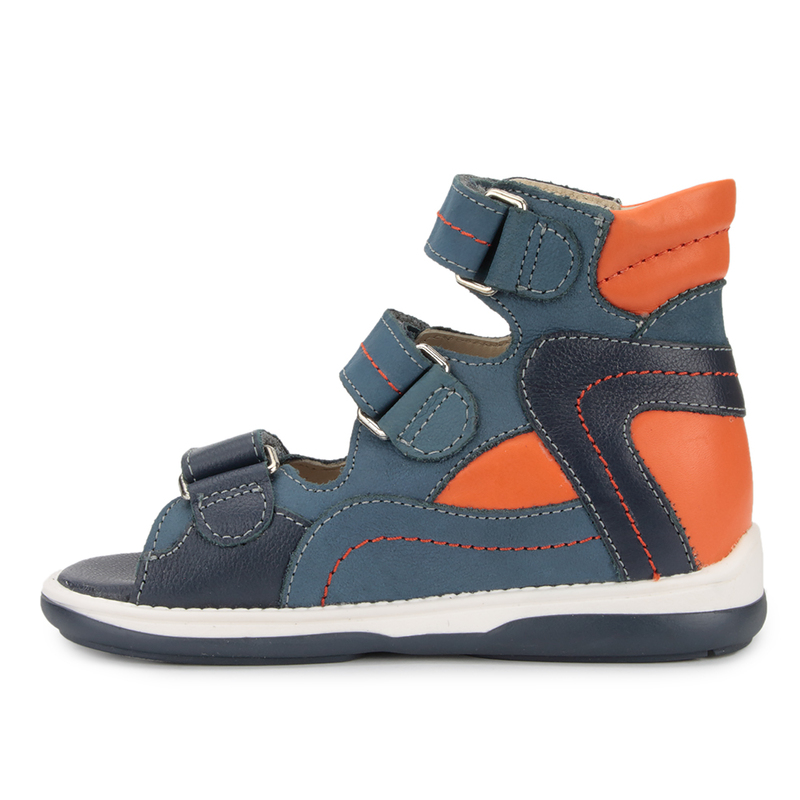 Memo MICHAEL 1CH Jeans Sandals — Memo-Shoes.com. 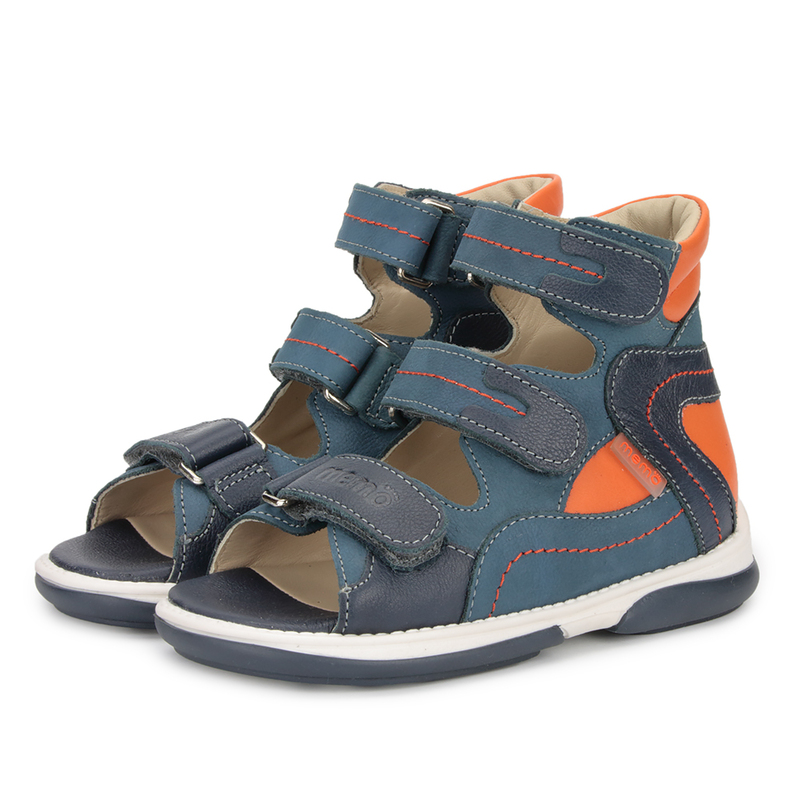 MICHAEL 1CH Jeans Sandals from the Memo Classic collection: Classic sandal footwear for outdoor and indoor use. 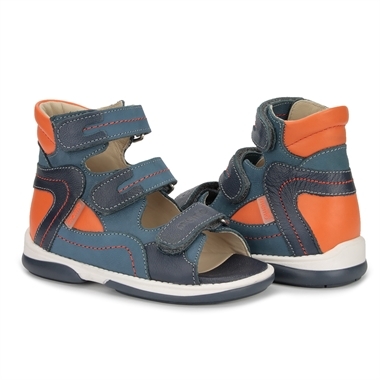 The open construction and diagnostic outsole allows for correcting and preventing foot complaints, also allowing the condition of the child's feet to be monitored. Memo Classic collection is classic sandal footwear for outdoor and indoor use. Open construction of the upper makes Memo Classic perfect for correcting and preventing foot complaints. Highest quality materials are used for Memo footwear production. 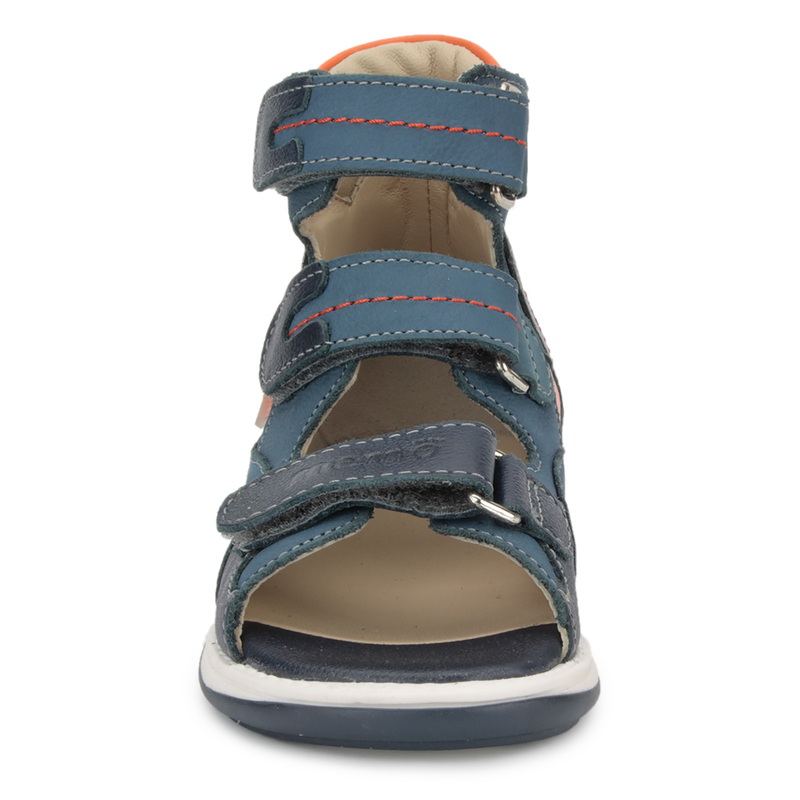 Outside and inside of the shoe is made of natural soft goat leather perfect for child feet. 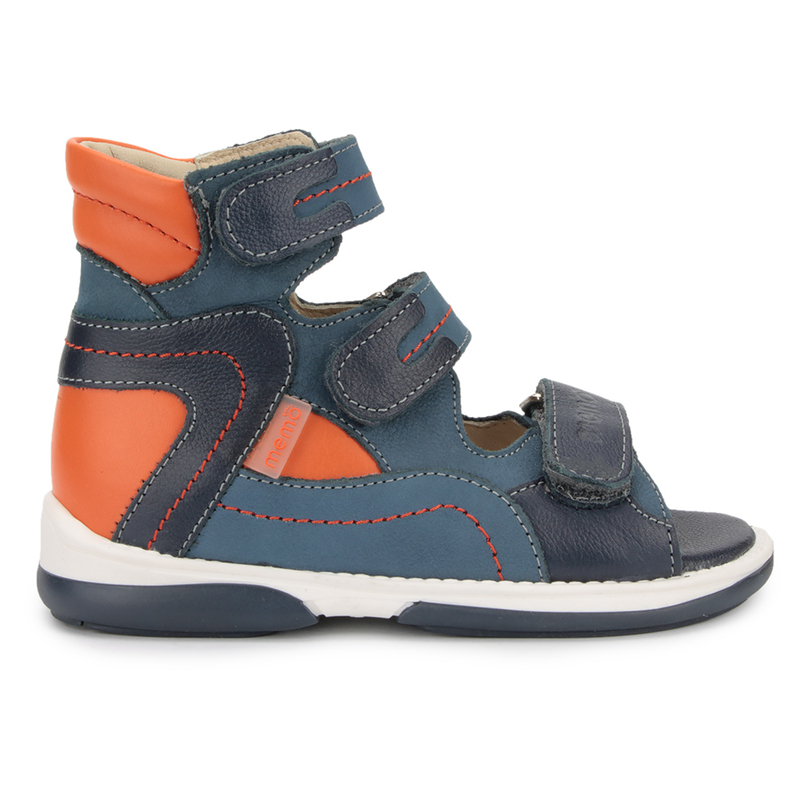 The goat leather naturally adapts to a foot increasing the wearing comfort. 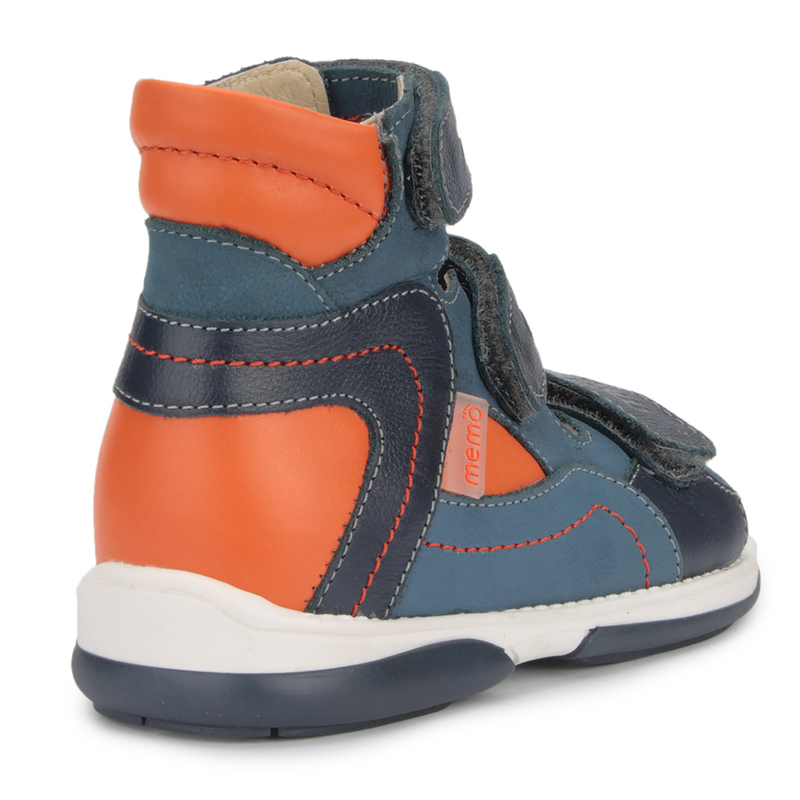 Some models have a special insole that does not contain chrome. Natural hygroscopic materials make the shoe breathe and foot not sweat. It monitors the condition of children's feet. An unique system of child's feet dynamic control gives a possibility of monitoring a current feet state and immediate reacting. 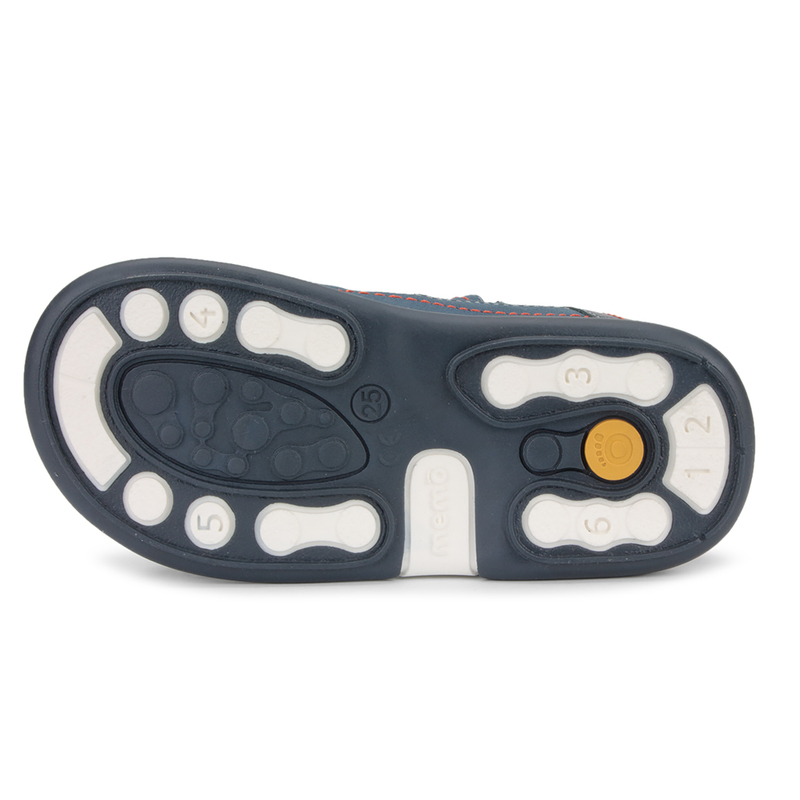 A special sole shape stabilizes the foot and provides its proper position during walking. European Sizes 22 - 31.